The U.S. Department of Education’s Teacher Education Assistance for College and Higher Education (TEACH) Grant program provides grants of up to $4,000 a year to students who are completing or plan to complete course work needed to begin a career in teaching. for at least four (4) complete academic years within eight (8) years after completing (or ceasing enrollment in) the course of study for which you received the grant. Who Can Receive a TEACH Grant? Complete the Free Application for Federal Student Aid (FAFSA) each year the student plans to use TEACH funds.  Be enrolled as an undergraduate student pursuing their first bachelor's degree or as a graduate student at Buffalo State. -Students in a second bachelor's degree or in a post-baccalaureate program are not eligible. Sign a TEACH Grant Agreement to Serve (ATS). You must complete a new ATS each year that you receive a TEACH Grant. How Much Can I Receive in TEACH Funds? For grants first disbursed on or after October 1, 2016, and before Oct. 1, 2017, the award amount must be reduced by 6.9 percent from the award amount for which a recipient would otherwise have been eligible. For example, the maximum award of $4,000 is reduced by $276, resulting in a maximum award amount of $3,724. For grants first disbursed on or after Oct. 1, 2017, and before Oct. 1, 2018, the award amount must be reduced by 6.6 percent from the award amount for which a recipient would otherwise have been eligible. For example, the maximum award of $4,000 is reduced by $264, resulting in a maximum award amount of $3,736. The following degree/major combinations are TEACH-eligible. If you do not complete your service obligation, all TEACH Grant funds you received will be converted into a Direct Unsubsidized Loan. You must then repay this loan to the U.S. Department of Education, with interest charged from the date the TEACH Grant was disbursed (paid to you or on your behalf). If you receive a TEACH Grant for an undergraduate program and later return to school and receive another TEACH Grant for a graduate program, you will have a separate 4-year service obligation for each program. Note: Effective June 17, 2018, TEACH Exit Counseling will move to the StudentLoans.gov website.